Steve Doner hasn't added a story. 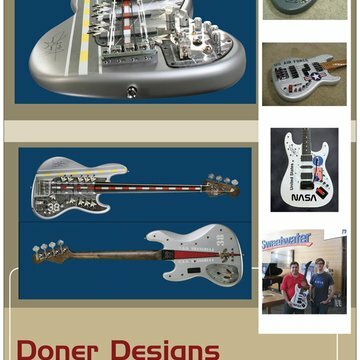 Doner Designs builds theme guitars to raise funds for major national charities. Past projects have been donated to the Make-A-Wish Foundation, the Cystic Fibrosis Foundation and the Juvenile Diabetes Research Foundation. The time machine bass just completed will be sold for the benefit of the Michael J. Fox Foundation for Parkinson's Research. 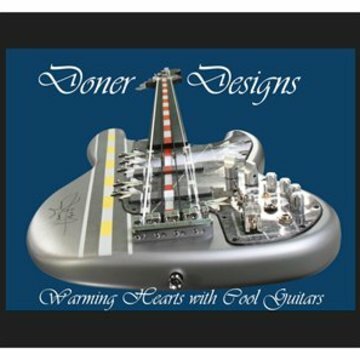 Doner Designs donates 100% of the labor required to design and build our elaborate guitars. We also invest our own money toward tools and materials, but need help from others to fully cover the cost of materials, accessories and other out of pocket expenses. Some guitar parts makers donate or sell components to us at a reduced cost but approximately half of each project needs to be covered by cash donations. If fundraising exceeds the actual cost, any excess is carried forward to our next project. Our cash fundraising goal for each individual project is $1,000. Steve Doner hasn't posted any updates yet. 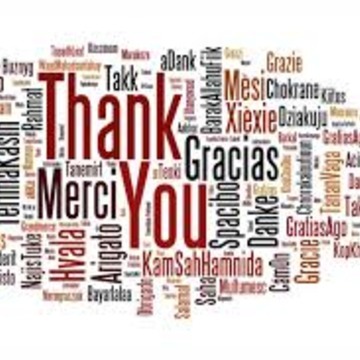 We sincerely appreciate all contributions. Tangible perks are only offered at higher donation levels because of the cost of the perks and the related shipping. 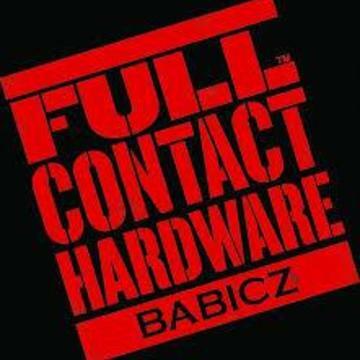 We sincerely appreciate and thank all sponsors. 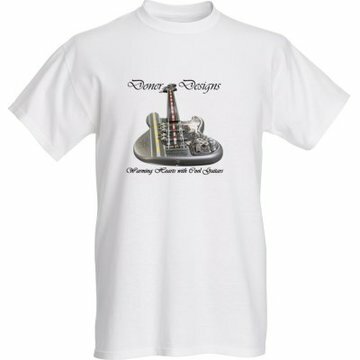 Sponsors donating $20 or more will be recognized as sponsors in our website and in the print materials delivered with the guitar (unless they choose to remain anonymous). Corporate sponsor logos will be included where appropriate. 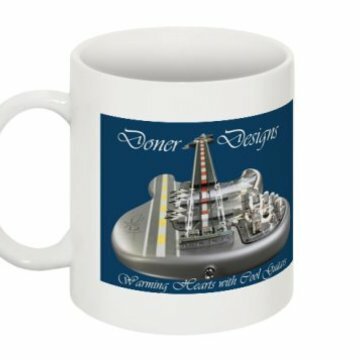 This mouse pad features a pilot's eye view of our aircraft carrier bass which raised $3,000 for Juvenile Diabetes Research in 2014. Sponsors not wishing to remain anonymous will also be recognized in print materials, facebook and our website. The Doner Designs 2016 pictorial calendar will feature photos of our past projects. Mouse Pad features our aircraft carrier bass. Sponsors not wishing to remain anonymous will also be recognized in print materials, facebook and our website. 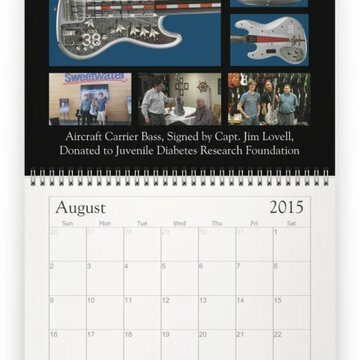 Doner Designs 2016 calendar, mouse pad and poster featuring photos of our past works. Sponsors not wishing to remain anonymous will also be recognized in print materials, facebook and our website. Steve Doner is managing the funds for this campaign. The campaign is for a personal cause.